A composer and music producer, known for his experimental DJ and Live performances, studio composition and production. Born in Chile 1972 but growing up in the UK, he now lives and works in Barcelona. Cristian Vogel is a composer and music producer, known for his experimental DJ and Live performances, studio composition and production. Born in Chile 1972 but growing up in the UK, he now lives and works in Barcelona. He studied 20th Century Music at Sussex University, under the tutor-ship of the British composers, Jonathan Harvey and Martin Butler. 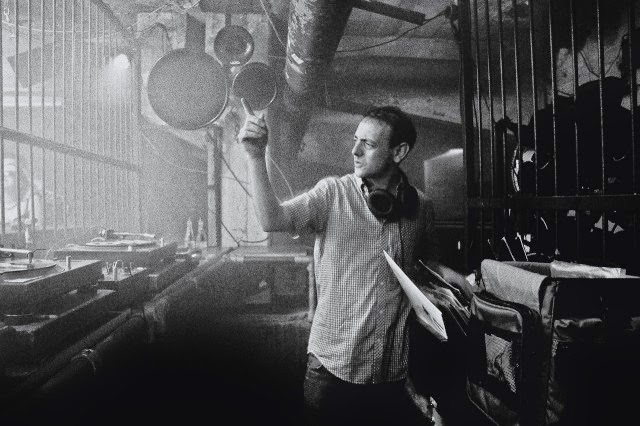 Over more than a decade he has recorded a number of albums and released on eminent experimental techno labels such as Tresor Berlin, Novamute and Mille Plateaux. His most recent full length, 'Station 55' has been described as "an album which will keep you awake at night in all the wrong ways". Cristian has toured consistently since 1992 as DJ and live performer, as solo artist and also with Jamie Lidell as 'Super_Collider'. Of late, he has been singing and playing guitar in his new band 'Night of the Brain'. As a studio remixer, he has been invited to reinterpret songs by artists as diverse as Radiohead, Maximo Park, Thom Yorke, Juan Atkins and many others. Cristian Vogel's producer credits include albums for Chicks On Speed, Panico, Virüs, Las Perras del Infierno and others. Since 2002, he has returned to electro-acoustic composition, composing four original scores and live soundtracks for the renound Swiss choreographer Gilles Jobin. These pieces ( 2-0-0-3, Delicado, Steak House) have been performed and toured by Ballet du Grand Theatre de Geneve, Gulbenkian Ballet Lisbon, and Gilles Jobin's own company Parano. As well as contemporary dance, he has been involved in other projects with international multi-media artists - Roland Olbeter's 'Sound Cluster' for Sonar Barcelona 2003, Artificiel's 'Bulbes' for the Montreal museum of Contemporary Art in 2003 and Stefan Brüggeman's 'A Production of Nothing' in 2005. As if that wasn't enough, Cristian Vogel has also been behind four independent record labels, Station 55 Records, Rise Robots Rise Records, Mosquito Records and Sleep Debt Records, as well as hosting a long running internet community known as Erutufon.